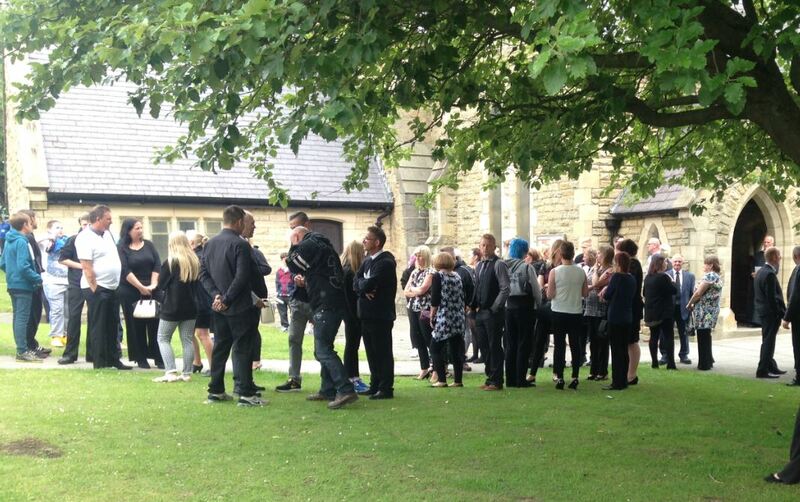 Hundreds of people have turned out at the funeral of Cameron Gosling, who drowned in the River Wear. The 14 year old went into the water to cool off at Witton Park, near Bishop Auckland, on Sunday afternoon. Emergency services were called after he and a group of friends got into difficulty. Cameron’s body was pulled from the water late that night. The teenager was a pupil at Parkside Academy in Willington, Crook, and many of his classmates turned up at the funeral wearing black hoodies with his name on. The cortege was lead by almost 200 motorcyclists - after his mum put a request on social media for them to be involved in the procession because Cameron loved motorbikes.